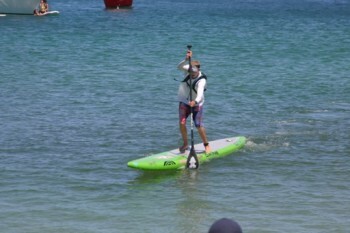 Connor Baxter and Terrene Black have just won today’s massive 4th of July event on Oahu, the Da Hui Paddle Race. The 35th edition of this iconic event attracted close to 600 paddlers for the race along the North Shore that finishes in Waimea Bay. Connor defeated a competitive field that included the likes of Travis Grant, Scott Gamble and Kody Kerbox. Meanwhile Aussie Terrene Black continued to build her reputation as an unlimited/ocean racing specialist. The Aussie was third in last year’s Molokai-2-Oahu and will again be one to watch in a few weeks time. We’ll have the full results up shortly, at which point we’ll know exactly how many paddlers crossed the line, but at roughly 600 competitors the Da Hui race is surely the biggest paddleboard event in the world. Granted most of those are recreational paddlers (there was only about 35 who opted for the elite division) but still, those are some impressive numbers. 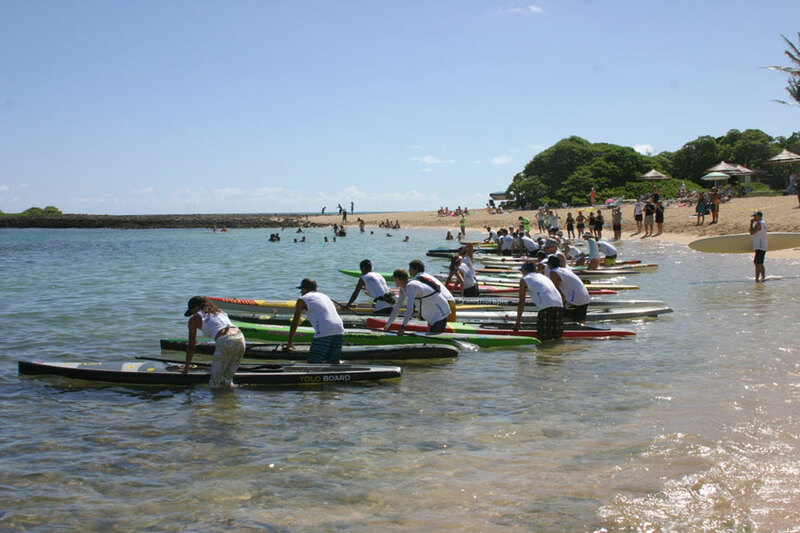 Depending on how many of the 600 were SUPs (a lot of prone paddlers do this event as well) the Da Hui could even rival the Battle of the Paddle as the biggest SUP race ever – the current record stands at around 410 from the 2012 BoP Open Race. UPDATE: Here are the raw results. We’ll clean the up and have them posted shortly. Couple of mistakes; Kody was 14′ not Unlimited and Scott Gamble was Unlimited not prone.